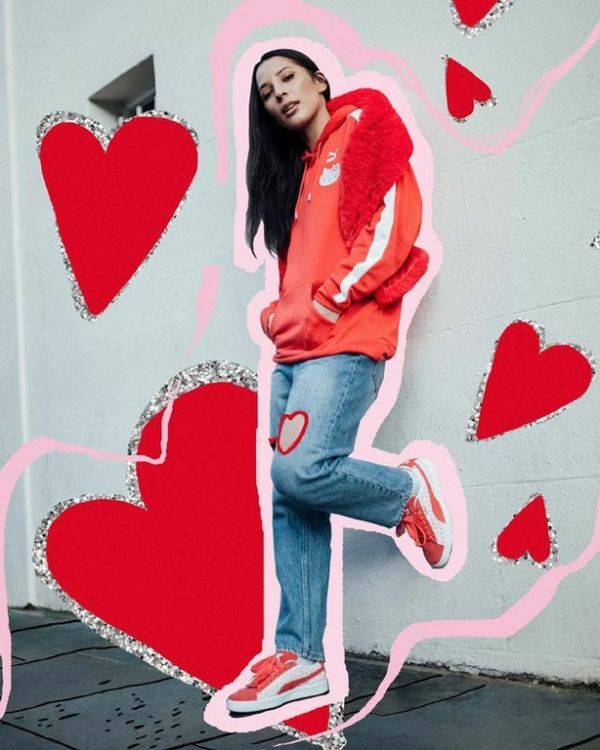 Say Hello (Kitty) To Your Childhood Cool Cat With Puma's Fabulous New Collaboration! 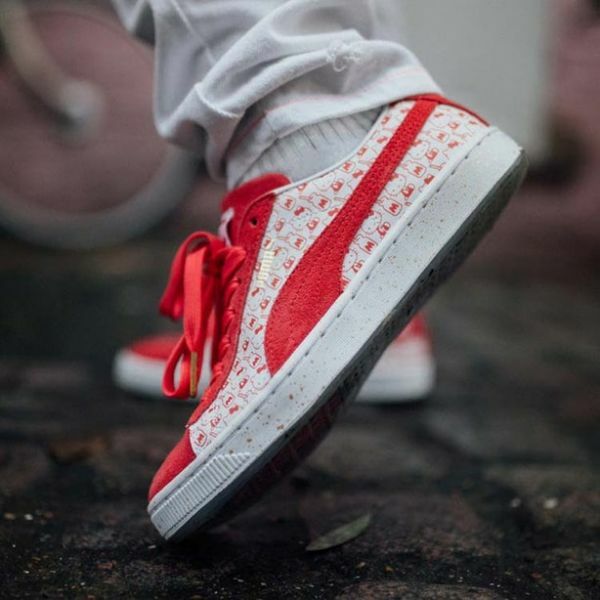 Puma is celebrating the 50th anniversary of its iconic suede sneaker by introducing a collaboration with our childhood friend Hello Kitty and we are intrigued! This collaboration is perfect for fans of every age. Hello Kitty has been one of the most mysterious characters, making appearances on our notebooks, stickers and t-shirts for over 40 years now. So the collaboration absolutely makes sense. It’s literally a collection your whole family can wear as the shoes will be available in adult, junior, pre-school, and infant sizes. The aesthetics of both the brands are uncompromised and are strongly visible in the products, it’s all about to get red and white. Colours loved both by the brand and your favourite kitty. It’s an ideal casual shoe to jazz up an outfit. 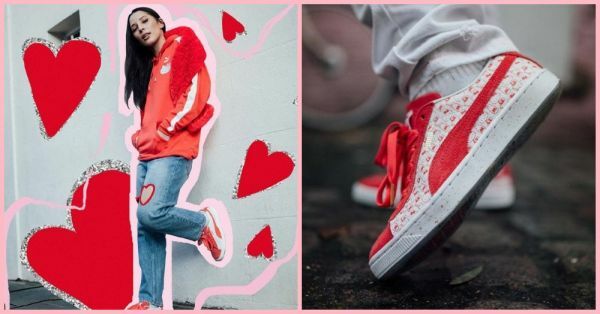 Puma's signature suede sneaker is getting quite a Hello Kitty makeover, featuring patterns like the red bow and her ever-present milk bottle. The HK x Puma collection isn't just about sneakers, even though those comprise the core element of the collection. Apparel and accessories that you'll want to cosy up are also involved. A white Hello Kitty x Puma tee features the collab logo. 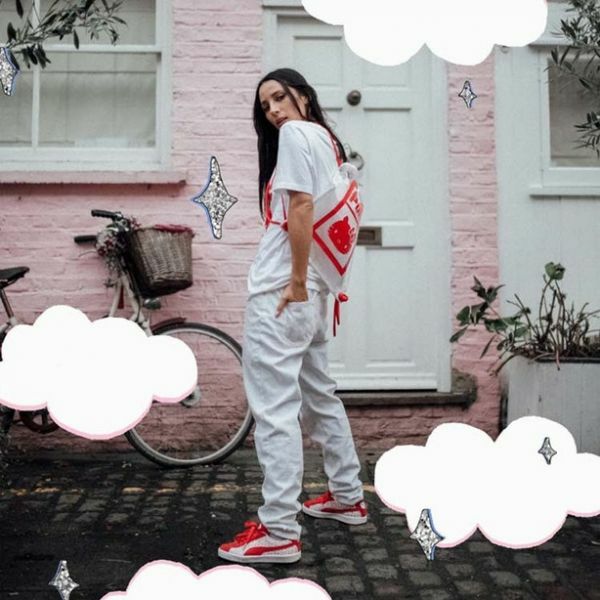 The red pants feature Puma’s signature stripes along with a small Hello Kitty icon with her milk bottle. The collection also includes a red hoodie flashing the logos and racing stripes. Not just that, it also features a red and white backpack and a gym sack that you would love to tote almost everywhere. The entire collection can be described in two words -- cute and cool. Recently, we have seen multiple Hello Kitty collaborations including the ASOS capsule collection and the Fragrant Jewels bath bombs. And Twitter is already excited about Puma’s version of Hello Kitty. Who wouldn't be if you ask us! The Kitty collection will be available from February 8th, so get ready to get your feet in meow shoes very soon!